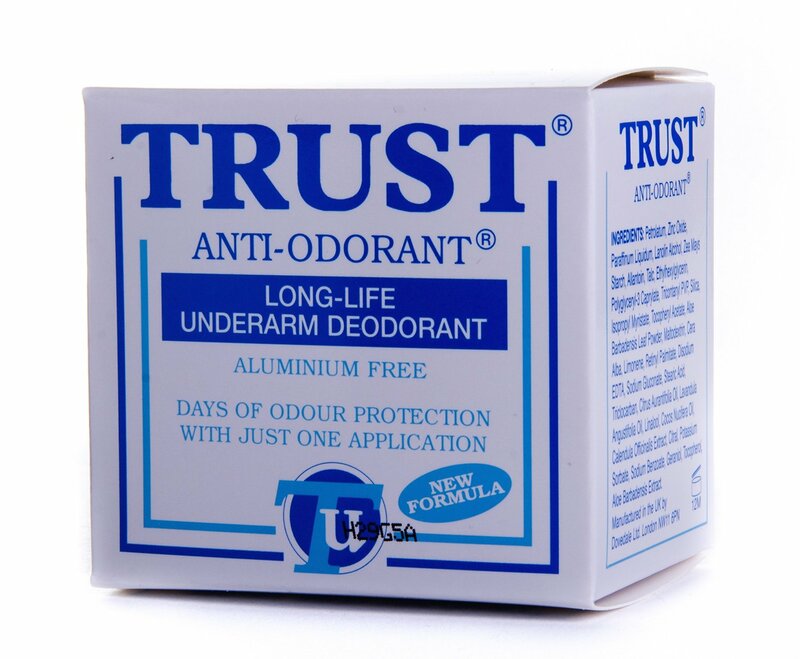 Trust underarm deodorant is a scientifically proved and tested product that can eliminate underarm odour from one single application. 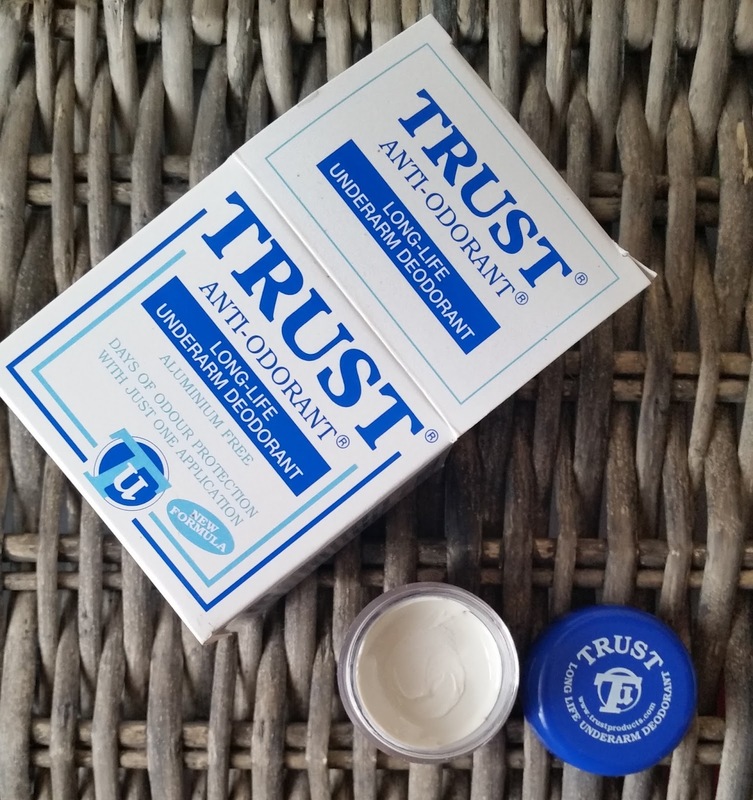 Just from one application this aluminium free deodorant safe guards you for up to 3 to 6 days, great if you lead a busy lifestyle and forget to apply first thing in the morning, it can happen! The highly effective deodorant does not stop sweating but does prevent odour, which is great for the active user who rides their bike to work or you are at the gym. Some deodorants claim to provide protection but all they do is mask the odour and fail when you are active or there is a hot climate. You are wanting a product that gives you confidence in any situation, all day. 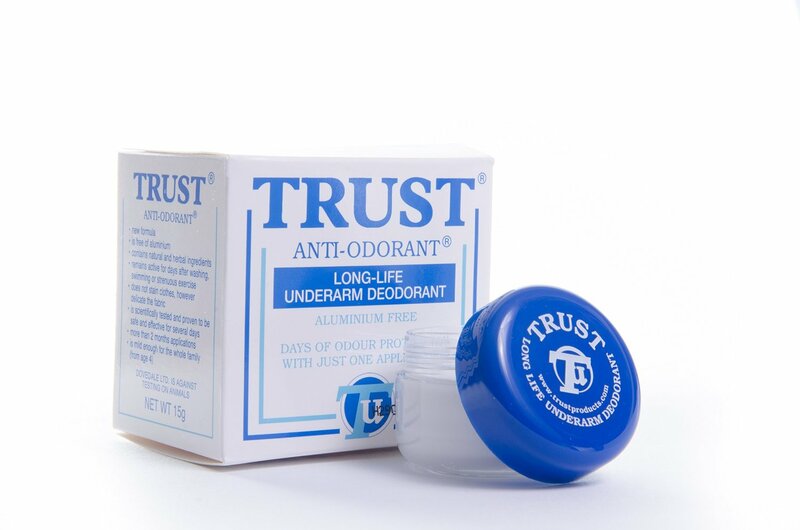 Trust underarm deodorant treats the bacteria causing the odour, leaving the user with confidence and protection for days! No harsh chemicals and being skin friendly (non irritating) this natural and herbal ingredient deodorant can be used by everyone aged 4 and above, great for the whole family. Geraniol, Tocopherol. Aloe Barbadensis Extract. Wash underarms and leave to dry. 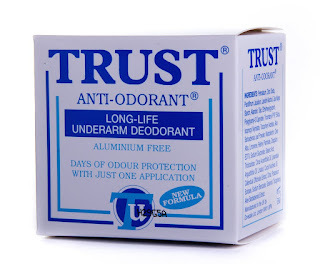 Spread trust underarm deodorant to the underarm area before bedtime. 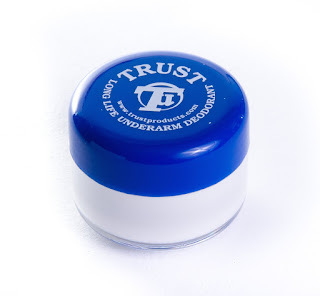 The trust underarm deodorant is easy to access with a twist off blue cap that gives u instant access to the product. I did have a sniff of the product before applying and the scent smells of a non offensive citrus/lemon, great! When you dip your finger into the pot, swirl your finger around and the white creamy product will then be on your finger, ready to apply to your underarms. one jar of trust can last you up to or over 2 months, making this underarm product a cost effective product to use. The travel friendly pot is easy to carry with you in your work or gym bag making this product a must have product, that actually works for odour free underarms! Interested in purchasing? Answer the survey question to receive an "exclusive discount" before purchasing! What most excites you about Trust? Every respondent will get a discount code for 10% off. The discount code will be valid only on Amazon starting from June 29th and until July 17th. 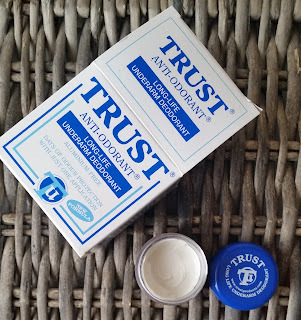 Thanks to Trust for sending me the Trust Underarm Deodorant to experience and blog about. X Neil.